Wash Up: Getting sweaty and a bit dirty is inevitable for any summertime activity, so proper and frequent handwashing is a must! Use warm water and an adequate amount of soap to create a nice lather – scrubbing for at least 20 seconds! Support Your School: To help protect your children from the spread of harmful germs during summer, purchase Lysol Disinfecting Wipes and Lysol Disinfectant Spray to kill 99.9% of bacteria and viruses on hard surfaces in the home, while earning cash for your school! All Lysol products are eligible for Box Tops for Education redemption to help you support your school one clean surface at a time! Bug Off: For time spent playing outside, it’s important for you to remind your children to wear insect repellent to prevent bug bites and diseases! The Centers for Disease Control and Prevention also encourages parents to check children and pets for ticks regularly! Visit Lysol.com for more information and tips to help keep your family healthy. Rory Tait is the Marketing Director at Lysol. He drives the Lysol Healthy Habits campaign, a program focused on educating parents across the country on the importance of healthy habits and good hygiene practices. Change can be challenging to initiate, especially when you are just one elementary school in a public-school district with over 60 schools. It’s easy to feel too small. But thanks to our Healthy School Meals grant, Kilgour Elementary School in Cincinnati, Ohio was given an opportunity to stand out and help make change happen. Not only have we been able to take steps to improve the perception of our school meals, we have also been able to create partnerships and momentum to improve our school’s wellness culture. 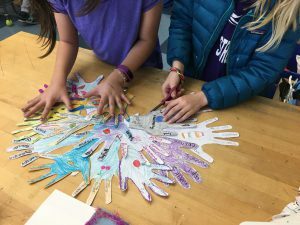 To help create a positive, healthy-lifestyle atmosphere, this year our school’s cafeteria will host six student-created permanent art installations, as well as a large scale “Farm to School” mural, illustrated by two talented collaborators—a Kilgour parent and school art teacher. Ever wonder if Kindergartners know how to make a salad? Ours do! Thanks to our “Free Salad Bar Friday’s” every student and staff member can visit the school’s salad bar on Friday and create their very own green masterpiece. 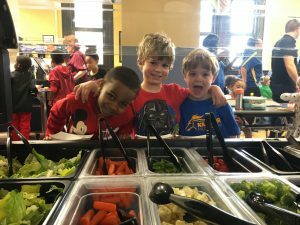 Every week over 100 students participate in the free salad bar—students who otherwise would not have the opportunity to experience school meals. Growing a positive partnership with our school district’s Food Service Administrative team has given us many opportunities, like bringing in extra salad dressing for students and trying new food items like sweet potato sticks before other schools. Our partnership also has led us to the donation of a Tower Garden growing system to our school, which gives students firsthand experience in growing their own food and creating meals and snacks from the harvest. Our partnerships have also blossomed in Kilgour Strong Cooking Classes. Local top chefs, in partnership with local distributors, have volunteered their time to help promote school meals. Students in grades 4-6 will be given an opportunity to participate in four free cooking classes, during which they will create a meal served in our school’s cafeteria. These students will be empowered to recreate these meals at home, plus learn why the ingredients are smart choices. Being one school out of 25 schools awarded the National PTA School Meals Grant reminds us that no matter how small we may feel, we are powerful, we can create change and that we certainly can stand out. Lauren Boehm is a proud mom of a second and third grader, and co-chair of Kilgour Elementary School’s Wellness Committee. (Sponsored Post) It’s a new year, and for many of us it’s a time to assess our health and resolve to shed a few pounds, add more fruits and vegetables to our diets, get more exercise and generally do what we can to make ourselves and our families healthier. Allow adequate time for kids to have recess? Provide active indoor recess to ensure kids get physical activity during inclement weather? Ask parents to bring healthy snacks instead of sweet treats for birthdays and celebrations? 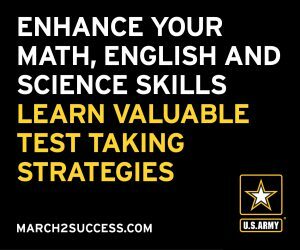 Incorporate active games and non-food rewards as part of classroom celebrations? Provide opportunities for physical activity during the school day, such as brain breaks in the classroom? Adhere to Smart Snacks standards for school meals and foods sold in school? Host healthy fundraisers involving nutritious foods or physical activity? If you answered “no” or “I don’t know” to any of these questions, don’t despair. Join your school’s or PTA’s wellness team and find out! Then pick an area where you can make a difference. Get inspired by others like Tara Fisher-Munoz, a parent in Austin, Texas who took her passion and expertise in gardening to form the Go Green Team PTA with other volunteers and start the school’s garden program. 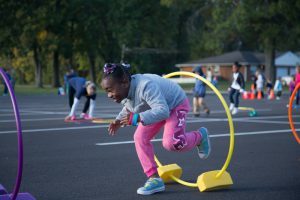 Or Dana Dougherty, a parent and substitute teacher in Arlington, Virginia, who worked with her PTA to set up the 2FIT2QUIT team, that organized 5Ks and family fitness fairs and secured pedal desks to keep kids active while learning. These parents started with big ideas but small steps. They and many others will attest that once you get started, it’s hard to stop, because just one program can spur a culture of health at school. By getting involved in school wellness, you can also help reinforce those healthy habits your kids are learning at home – and likely learn something new for a healthier you, too. Learn more about how to get involved in school health at ActionforHealthyKids.org and celebrate your school’s health and wellness during Every Kid Healthy Week. Amy Moyer, MPH, RD, is the VP Field Operations with Action for Healthy Kids and mother of two girls. Action for Healthy Kids is a National PTA sponsor and has been invited to submit a blog post as part of their engagement with PTA.